One of Jeju's most visited old-style markets, Dongmun Market will overwhelm your senses with its colors, smells, and bustle. Under a huge covered hall, hundreds of stands display fish, spices, fresh produce, meat, sausages, and anything you could possibly imagine to eat. Immerse yourself in the array of sensations and try famous Jeju chocolate, spicy tteokbokki, hotteok pancakes, and tangerines. 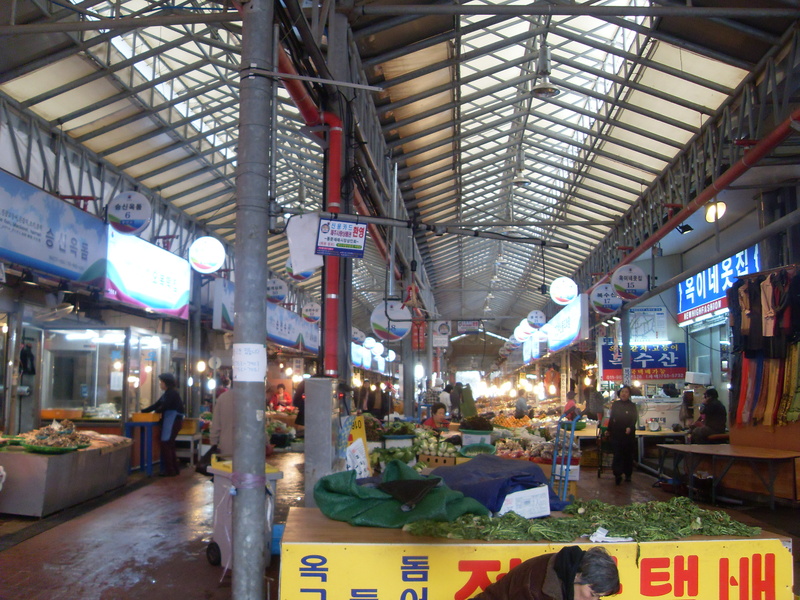 Established in 1945, the traditional market remains particularly well-known for a wide variety of fresh seafood. You can also get some good, authentic souvenirs here. 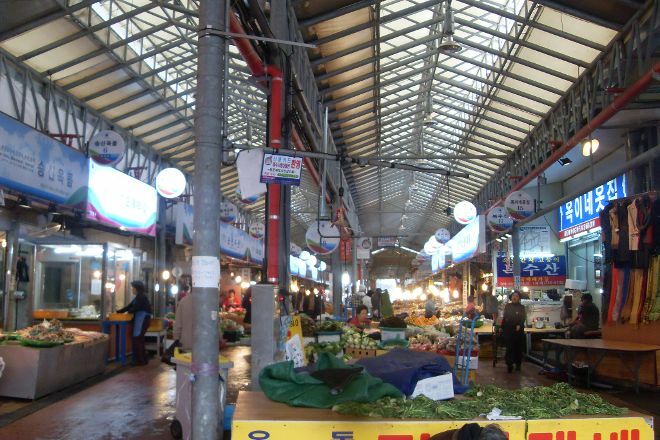 Make Dongmun Market a centerpiece of your Jeju vacation itinerary, and find what else is worth visiting using our Jeju trip itinerary maker website . Other delicious foods (steak, Takoyaki, etc.) are not eaten by the hotel, so it is very convenient to go to the restaurant every day. One dish that floats on the spot! The food is really cheap, and there's a lot more to eat, so you can go deliciousness a measly rice house and you'll be hungry. So, if you eat tangerine in the middle, I'm hungry. (This is my personal opinion. ㅎ ㅎ) and it is the end of the slope view until the going to go to go to the evening Street!